Berkeley Classic White Base with 30" x 42" Cherrywood C Top. Berkeley Classic table base and a 30x42" Cherrywood top surface. 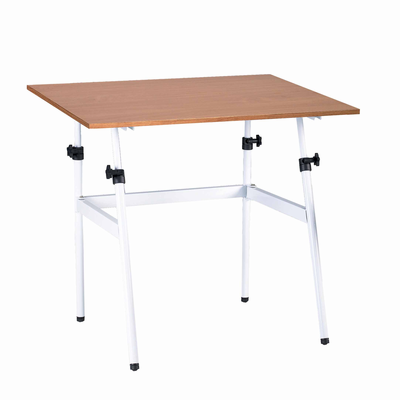 Berkeley Classic is the original professional folding table for Art and drafting, but often used by crafters, students, and even young homemakers as a combination kitchen and hobby table that can be folder and placed in a closet to save space. Sturdy, strong, like no other available. (Requires' assembly).